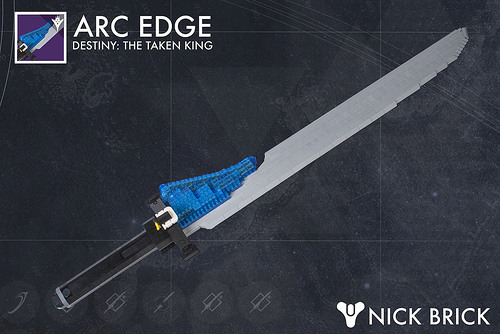 Check out the Arc Edge from Destiny, Bungie’s newest game, where it appears in the newest expansion, The Taken King. Nick Jensen, known for making super cool life-size LEGO replicas of video game guns, has switched it up a bit and brings us a full-scale melee weapon this time. 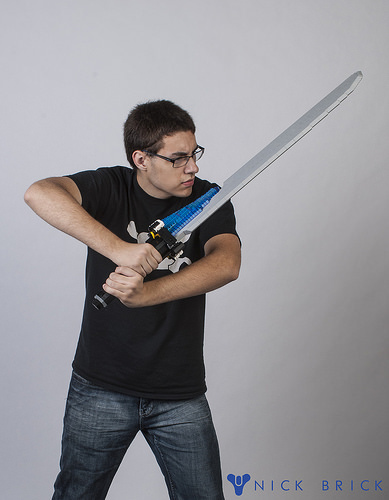 It takes a good deal of LEGO engineering prowess to create something so long and thin without it warping when held, and Nick is happy to pose with his blade to show its strength and scale. If you like Nick’s work, check out Creations for Charity, where you can buy one of your very own! Nick has donated his life-size Halo 2 Battle Rifle to be sold to raise money for the charity, which uses the funds to buy LEGO sets for under-privileged children for Christmas.